I'm a huge fan of list. I make lists for everything and I sometimes even make lists for my lists. The thing is though, in a day of a busy girl, a list is basically a complete life saver. Fellow teachers out there will understand what I say that there are never enough hours in the day and there's always something else to do, right? 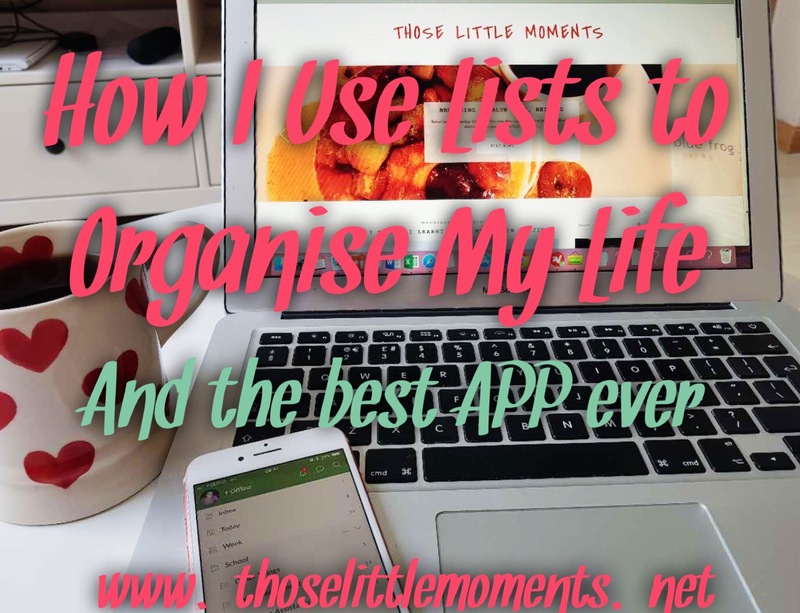 Lists really do help me function and cope with the business or life! Each day I make a list of ten things I want to achieve each day. Some of big things that have been hanging over me and some are small things that are easy to tick off. Having 10 things that I need to do helps me to be more productive and ensure that even on lazy days, I do 10 things to make sure my day isn't a write off. When I write a daily list, I include goals for myself as well as work-related goals. I don't know about you but I'm really good at prioritising the things I need to do for work and get them done, but I always put myself and the things I need to do for me second. This is something I'm working on and a big part of the reason why I chose to change my job role. I don't know about you but I hate going to bed with anything left on my life so it helps to make sure I look after me too. 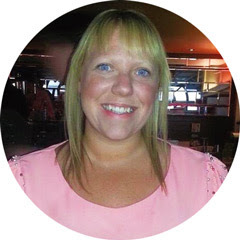 I have folders for the key areas in my life - school, home, buy, travel and blog. I then have sub-categories for each of those areas, because obviously my organisation lists need to be organised too. I then have the things I need to do in each category, set with a deadline. It's easy to add things as you think of them, even years in advance. The APP then sorts them into things to do that day or that week, or you can view by category too. The fact that it's on my phone means I always have it with me so I can add things to my list in seconds and easily view what I need to do next. I find it so useful in organising my day and planning ahead - I'm so much more on life since I started using it. I genuinely don't know how I functioned without it! I always think and plan ahead so I've got an idea of what is coming next. In those rare quiet moments when life is quiet, I try to get ahead on things coming up so that I don't get swamped later on. I use Wunderlist for this also to be honest as you can add reminders way in the future so it's really easy to look ahead and see what is coming up. While lists have always been top of my organisation tips, Wunderlist has literally changed my life. I'm aware that I sound like a cliched saleswoman right now, but it genuinely has. It's so easy to use, having it on my phone is so convenient and it makes a satisfying little ping sound every time I do something on my list. I can't recommend it enough - you should go check it out! Are you a list lover like me? 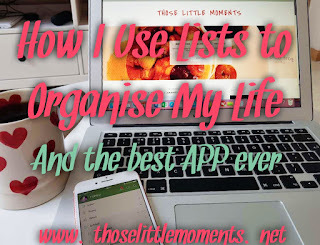 How do you utilise lists to stay organised and on top of life? Oh first time hearing about Wunderlist! Looks interesting :) I'm a big internet person and all, but for myself I always liked the idea of a small white board and writing down what needs to be done and erase it at the end of the day. Ideally it wouldn't be easy to carry around, so this might only apply when I haven't got anything going on and just at home and wanting to get things done around the home etc. I do like the idea of using a white board as a vision board for goals and dreams :) I must look into that!